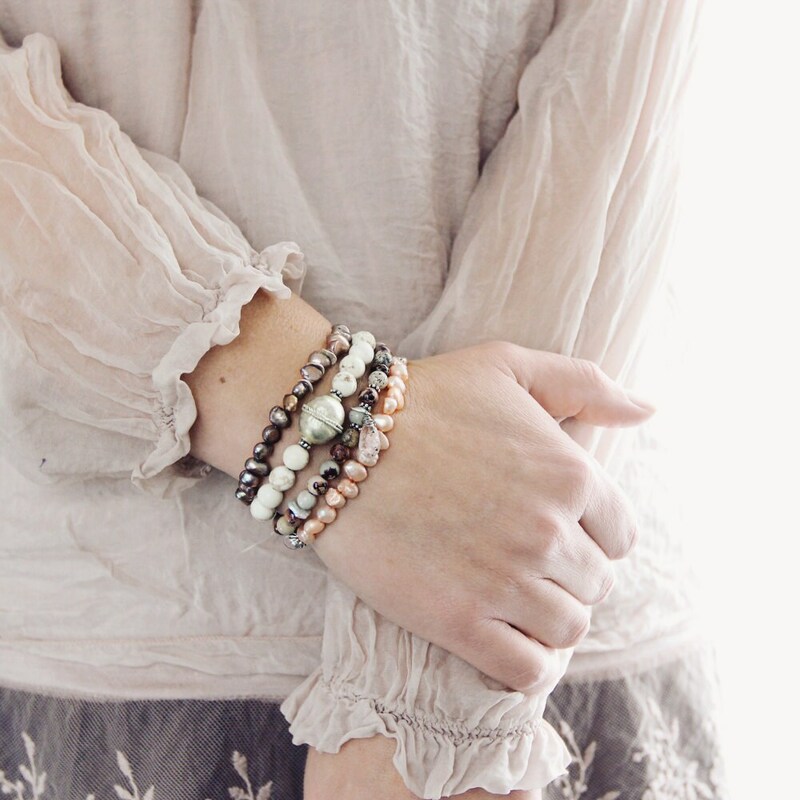 This freshwater Pearl and pewter bracelet is the epitome of bohemian elegance and femininity - a delightfully romantic statement for day or evening. It's just the thing for adding a tasteful, timeless flair to your wardrobe this season. 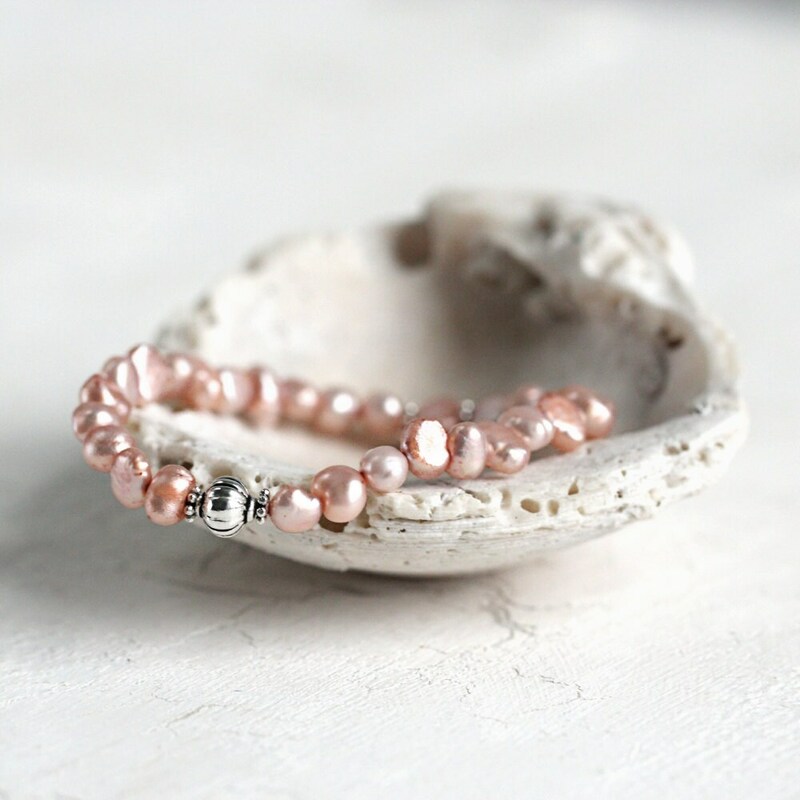 This peach colored pearl bracelet looks beautiful worn alone, but is sensational for layering and stacking with other bracelets. The soft and iridescent peachy-pink tones shimmer and shine with a delicate, ethereal radiance, whilst the irregular shapes lend a natural, organic charm and perfectly balance the 'prettiness'. 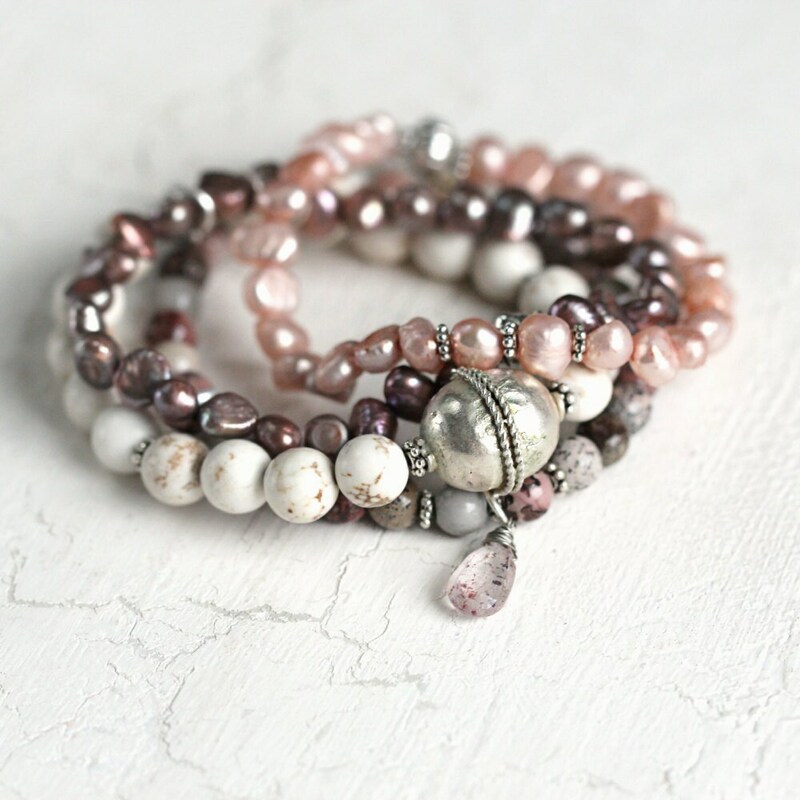 Pearls are the birthstone for June, and make a thoughtful and stylish gift for a June birthday. 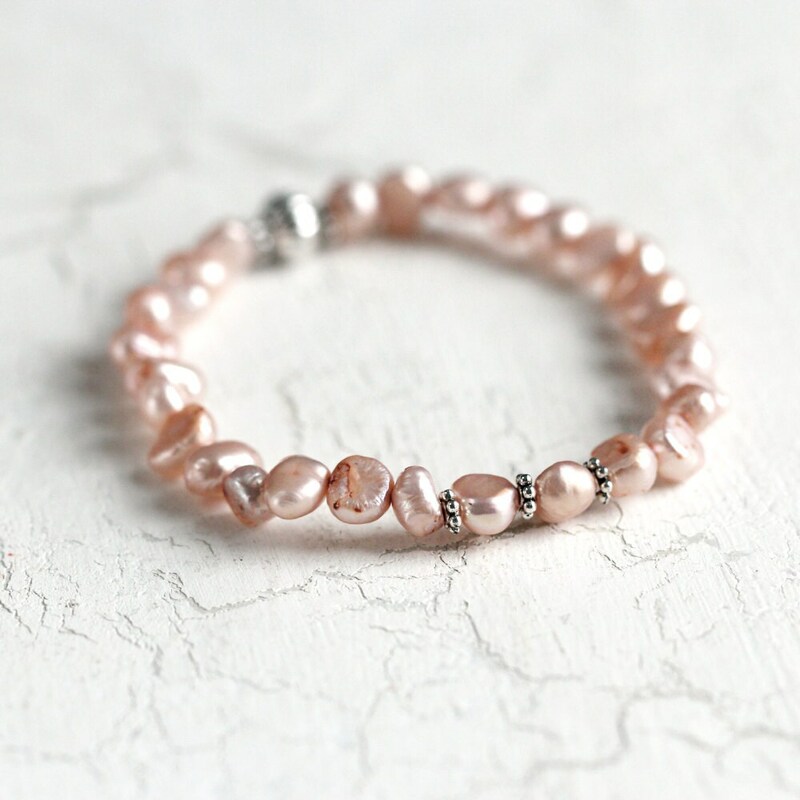 Pearls, also known as a 'stone of sincerity', are said to symbolize faith, truth, modesty, beauty and integrity, and can bring the wearer a sense of tranquility, upliftment and focus. 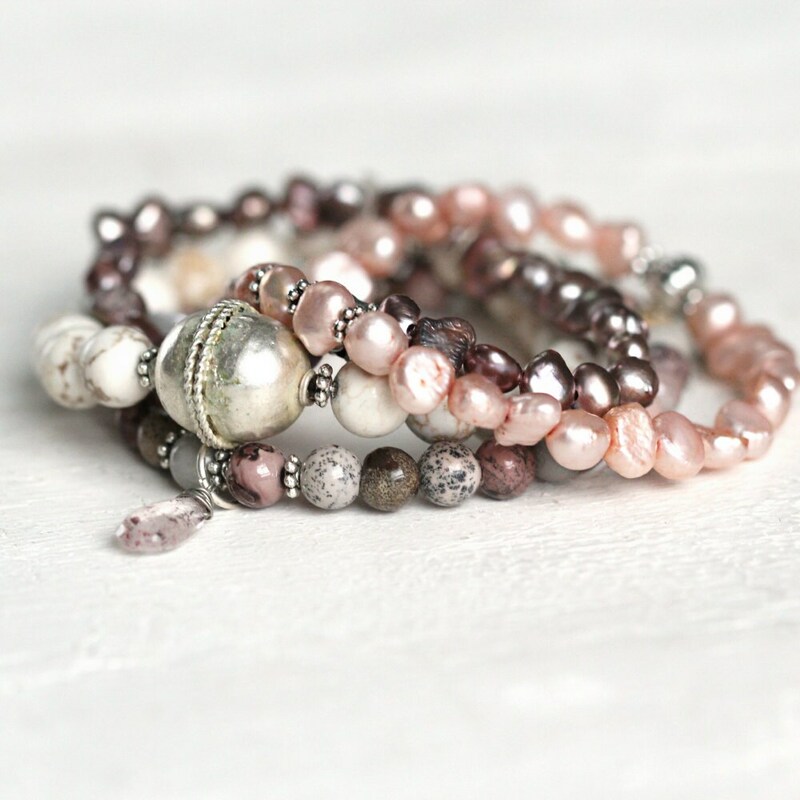 Pearls were once thought to be the tears of gods and goddesses in ancient lore! The real magic of pearls, though, is that they are wonderful reminders of nature, and of the potential to grow through extreme pressure and 'agitation' into something beautiful and full of value, just as the tiny pearl does within it's shell! * Pearls measure approximately 4-5mm. Very fine service indeed, and beautiful item received.